Hi friends! 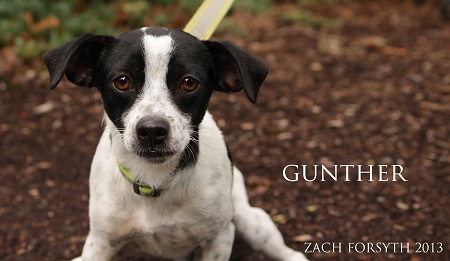 My name is Gunther and I am a 1 1/2 year old Chihuahua mix who is ready to be part of the gang! I am a fast moving, fun-loving kid that is going to bring a lot of happiness to your world. I do well with other animals, but because of my size would be best in a home without small children. I am fully crate trained, but working on my etiquette so puppy classes are a must. I am so social and affectionate, I can’t wait to be your buddy! If you are ready for a fun-sized companion come check me out! Fill out an application at pixieproject.org so we can schedule a meet. I am fixed, microchipped and vaccinated. My adoption fee is $200.